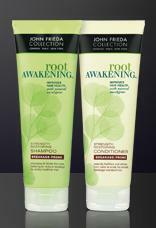 Click here to visit the John Freida facebook and like them. Then on the “Special Offers” tab, fill out the form to request a free sample and $1 off coupon. I would like to try and see what happens!!!! I would like a free sample please. Thank you.